Let's be honest. 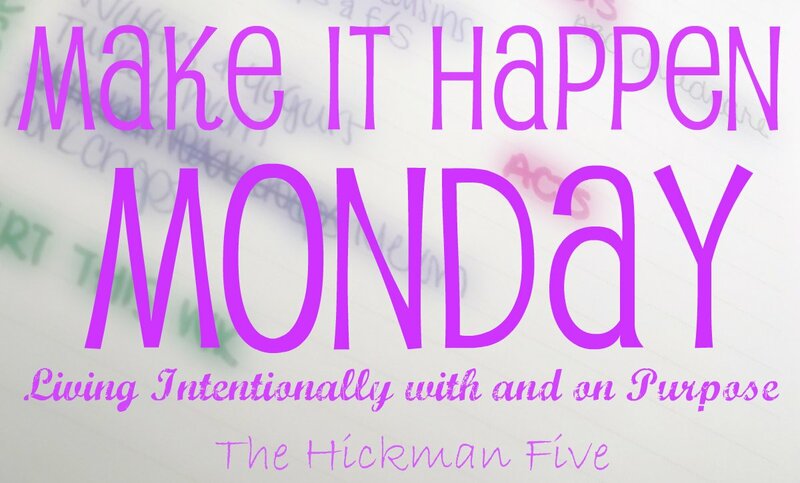 I haven't been all that consistent with Make It Happen Monday. Things have been really up in there air, flying by the seat of our pants this month. There were weeks where I said, okay, I am getting this, this and this done. Just to wake up and Hubs say, hey, I want you to come with me today. And we would be gone for 6 hours. Life changes again and Hubs has a job out of the house 8-5, Monday through Friday. Now we are trying to figure out the schedule again. We have a week of him being gone under our belt, now it is time to get back in the swing of things. Life must return to normal. I must live as if I am not living here. I must live as if we are living on our own. If we live like we are on our own we will not need to make tons of adjustments again when we are on our own. 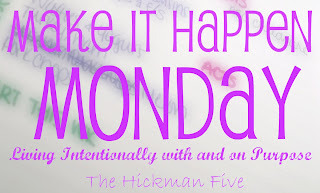 So what does that mean for Make It Happen Monday? Put a note in Hubs lunch twice this week. Get a schedule that works for me getting work done. I am tired of living like this. It's time to Make It Happen. House by November 1 here we come. For every pop I choose to drink I must drink 2 "bottles" of water. Market articles and posts daily. Link up with at least 3 blog hops and link parties. Wow this seems like a long list this week. I am up for the challenge!